Although not strictly a yard office, this building is an exLSWR structure, the old crossing hut at Axminster Gates on the Yeovil-Exeter line. It has not been 'bedded-in' but placed at the exit to the goods yard. Sorry, I forgot to show the rear of the office. I should have asked: Does anyone want to see any specific aspects of building Beaminster Road? Farmer Giles has just driven to the yard to collect some seed, please note that in the 60's only the emergency services and armed forces were the 'other' users of the Land Rover - it was another twenty years before it became a fashion statement. Their robust quality is legendary, over 75% of Land Rover produced are still on the road - try finding a Mk2 Cortina. PS - For the benefit of younger readers - The old Landies were (and still are) far too basic be to seen as fashion statements, no essentials like heaters, radio, roof, etc. Lord and Lady Snooty waited until the Range Rover showed up before they could drive off road (ie Tesco Car Park) and it was quite a while before the rest of the Tonka Toys, aka Chelsea Tractors, appeared on the scene. The Provender store is an RTP from Scenecraft, the trick is to blob some paint on each leg and very carefully place it. Then, using the paint marks, drill shallow 8mm holes in the ground to depth of about 3mm so that the building is 'planted' in the ground surface. The grass is merely puffed around the edge of the building's footprint which is painted dark earth -B&Q emulsion Hanna. The greenhouse looked too 'up market' for the goods yard's veg plot, so here is the lovely 'tatty' shed and it does need bedding-in. This was the start of building Beaminster Road, the trackplan is unusually simple for a home layout with just six turnouts in the station. Whilst we might think that we 'know' what our surroundings look like, how good are we at remembering the past? 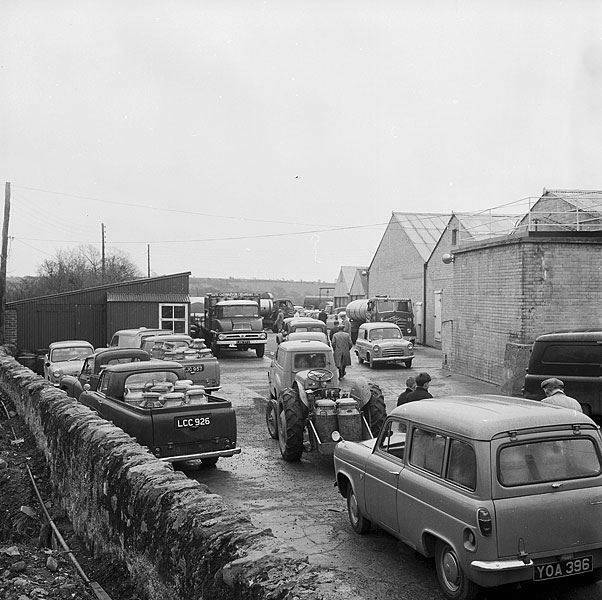 This image shows a dairy during a tanker driver's strike in '63, please note that the farmers did not drive enormous 4x4's, indeed not a Land Rover in sight. However in these pre-CAP days the farmers seemed to favour cheap vehicles such as the Ford 100E Squire estate and Austin A50 pickups. Thank goodness for the Classix range of 50's cars. Some cracking shots of Beaminster being built mate :) That ballast looks rather effective. What sort of track do you use? Is it a specific make? There's something about it that makes it look really realistic. The Signalman's motorbike - once upon a time, a motorbike was not a lifestyle choice, it was all that most working men could afford. This one was one of the cheaper examples - an exWD bike. The machine is supposed to be an ex-Don R BSA M20 499cc side valve. After demob, the signalman bought it for just £4/19s/11d from Pride and Clarkes on Stockwell Road. 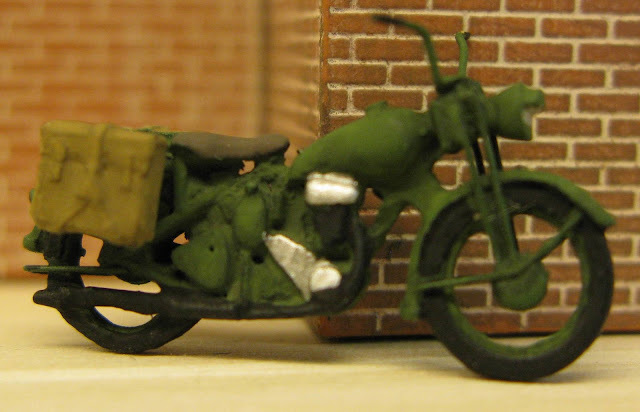 The photo is a cruel enlargement, the model is no more than 24mm long however I think that the canvas holdalls are pretty neat. keep up the excellent progress and photo updates... etc. 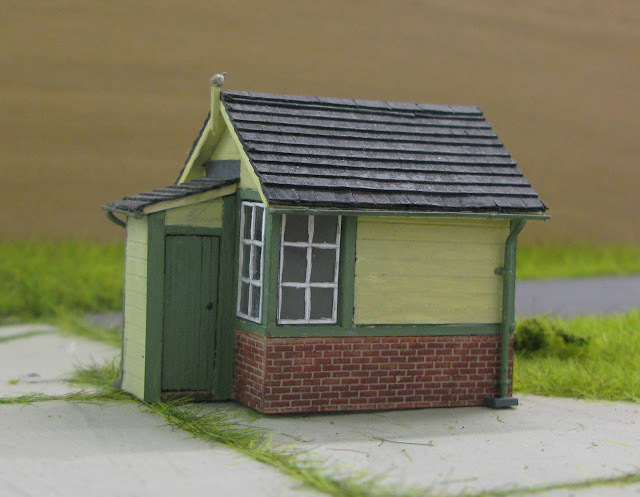 The layout is based on the notion that the LSWR did decide to build the Beaminster branch but abandoned the project leaving the people of Beaminster without a station. Hence the LSWR built Beaminster Road despite the fact that the station is over five miles across the hills to the town of Beaminster. The architecture is typical for the Yeovil - Exeter Railway Company and the station building is a mixture of Axminster and Seaton Junction whilst the waiting room is also typical. The track plan is based on Milborne Port and is about the minimum that you can use whilst still operating a goods yard. All the features are common to West Dorset and South Somerset, the road vehicles are always covered in a fine layer of road dirt and I have been lucky to find some which are locally based. 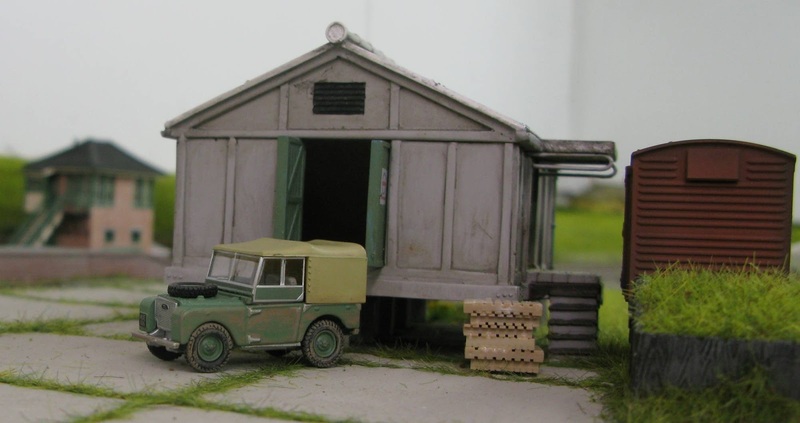 The buildings are a mix of scratch built by Bill Jones, some RTP's and a couple of kits, all are painted in the same colour scheme of faded SR green and cream. 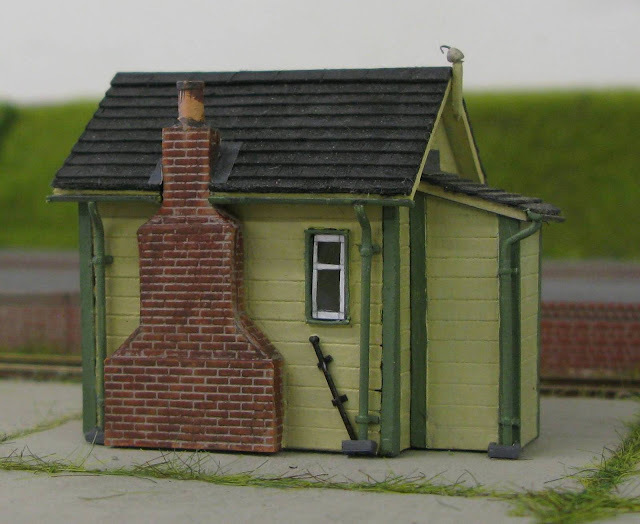 Is anyone interested in the stock used on the layout? Southern National Bedford OB parked outside the station, awaiting passengers for Beaminster Broadwindsor and Bridport. 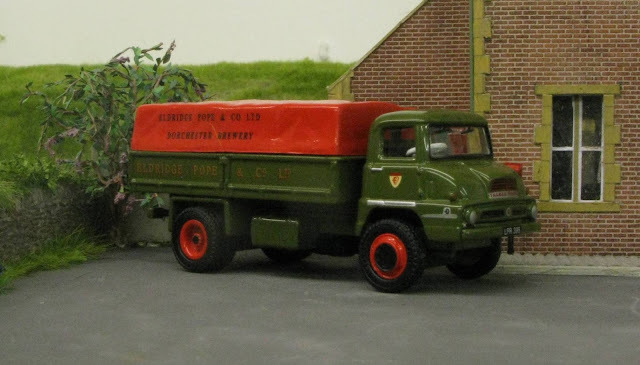 A Thames Trader, new in 1960, bought by Eldridge Pope of Dorchester. 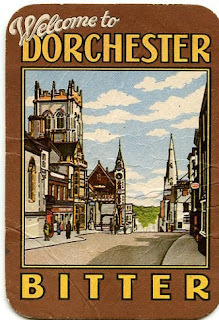 The much-loved brewery was closed in 2003 due to financial mismanagement and the loss was keenly felt in Dorchester, which had lived in the shade of its towering chimney stack for over 100 years. 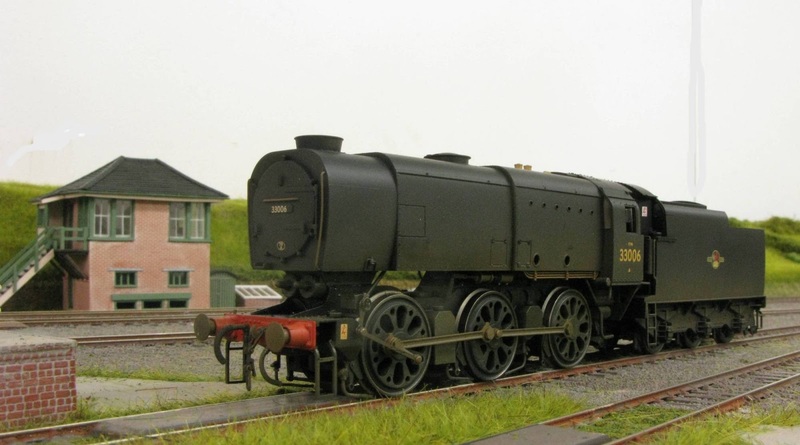 It is very difficult to describe this magnificent locomotive, it is the very antithesis of elegance, it is sheer power without even moving and Hornby have captured it to perfection. This will haul the daily ballast train through Beaminster Road. My first sight of of the Q1 was on a visit to Tims to see my first 00 and digital layout. After the gloriously detailed Fleischmann German locos that I'd been running for years the Q1 looked like a piece of 2"x2" timber with a few wheels stuck underneath. However, I made the change to British 00 and my first purchase was a Q1. I now love the look and the feel, so much I bought another, even though one is all that's needed. Both of mine are lightly weathered and I think they look magnificent.........................each to their own of course. When your wife is prepared to help on the layout, then you know that you have married the right person. You're a cruel person Tim ;) What was she doing? You're lucky Tim to have a supportive and enthusiastic wife. My wife (being Asian) doesn't understand our hobby and never takes part, so I work alone but a lady friend does help me at some shows. Come here sweetheart, just put your tongue on these rails for a second while I see if the electrickery is working. Thanks dear, that seems to be working fine. The electrical outlets in the far corners of the layout needed disguising, hence all the tomfoolery as they are beyond my grasp. Lucky you having a wife who will assist, mine gives me a "that's nice, dear" - if I'm lucky! 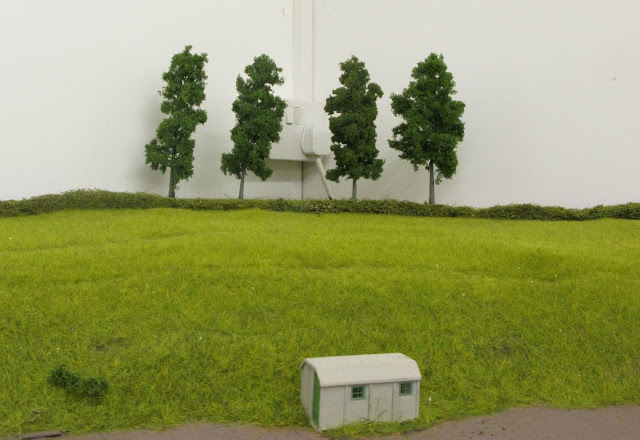 Just had to say: 'Wonderful scenic work' on this layout, it's a delight to observe!